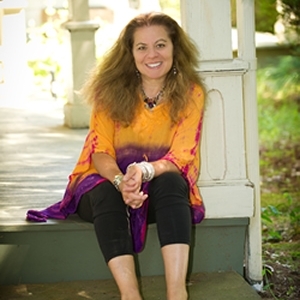 Wendy Black-Nasta, founder and executive director of Artists for World Peace, has been a jewelry designer for museums, galleries, and art collectors worldwide since 1977. For many years her work has also included the creation of sacred objects for churches, Buddhist monasteries, and temples in America, Hong Kong, and Europe. Wendy has also designed one-of-a-kind pieces for hundreds of clients through the Diamond District in Manhattan since the late 70′s. Like jewelry designing, dedication to peace and human equality has been central to Black-Nasta’s life’s work for more than four decades. She founded Artists for World Peace in 2003 as a way to further international peace and unity through the arts. Black-Nasta designed the International Peace Belt, Artists for World Peace’s first major project, as a living link joining all peoples and cultures in a common bond of peace. Fifteen years later the foundation’s work has expanded to twenty-five countries on five continents, where Artists for World Peace has helped build schools, an orphanage, free eye and dental clinics, created safe houses for battered women and children, and sponsored the living and educational expenses of dozens of children. For Wendy, her work fits into her life, and she views her roles as wife, mother, artist, and peace activist as a unified experience in life’s journey. Katherine Lambert is a partner practicing commercial real estate law at the Hartford law firm of MacDermid, Reynolds & Glissman, P.C. Prior to joining the firm, she was General Counsel to The Simon Konover Company and a partner in other law firms. She is has been a member of the Board of Directors of (and has donated real estate services to) The Hartford Stage Company for over 25 years; is a member of the Board of the Directors of US Horse Welfare and Rescue, Inc.; and is a past President of CREW Connecticut and a past member of the Executive Committee of the Real Estate Finance Association. Jo-Anne’s career has spanned the corporate and nonprofit worlds, working in the areas of communications, marketing, development, and external relations. She has worked at The Phoenix, the National Kidney Foundation of CT, the National MS Society, CT, Our Piece of the Pie, Charter Oak Health Center and Capital Community College. She has served on the boards of the Farmington Valley Arts Center, Literacy Volunteers of America and Literacy Volunteers of America-CT and the Human Relations Commission in Glastonbury. She has been a mentor to a number of youth, a volunteer for Special Olympics International and a volunteer at Wish Elementary School. Vivian Schaufler is a Vice President in Private Banking at Wells Fargo, and has previously worked at other financial institutions such as UBS, Greenwich Global, BHF Bank and Banca Commerciale Italiana. She earned her Bachelor of Science in Business Administration at the University at Albany and has studied Art History at the University of Urbino in Italy. Previously, she has served on the board of Northeast Community Cycles whose mission is to provide bicycles for underprivileged children and adults. Vivian has a track record of building successful teams around individual client needs and is dedicated to providing clients with expertise in wealth management. Passionate about humanitarian causes, Vivian has been an admirer of the work of Wendy Black-Nasta for many years, and is thrilled to able to bring her skills to the board of Artists for World Peace.